Unemployment is a critical indicator of the status of the economy. A high or rising unemployment rate can be seen as an indicator of trouble in the economy. Conversely, a low or falling unemployment rate can be seen as an indicator of a good or improving economy. 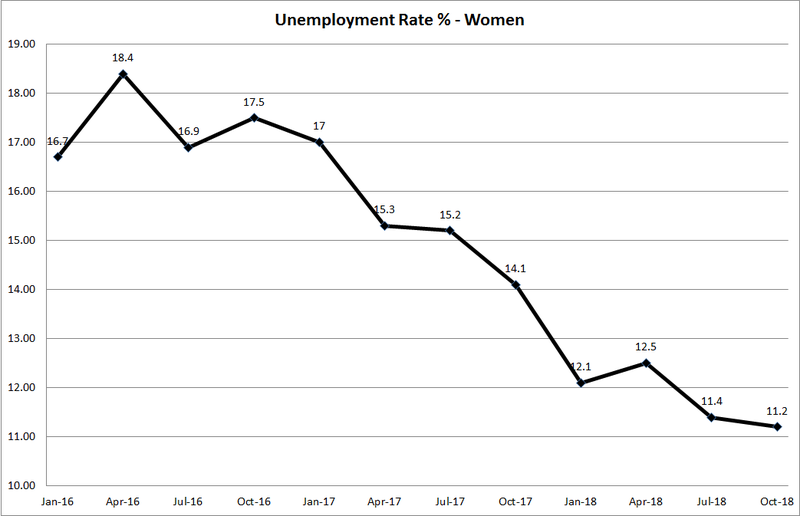 The Image shows unemployment rate among women over the period January 2016 to October 2018. Use the Indicators tab to see recent changes in the unemployment rate. Please note the scale on the left hand side of the chart does not start at zero, this helps to magnify the changes in the rate for the period.